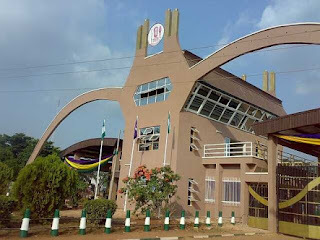 UNIBEN GIST: Uniben Admission list Updated- See details!!! University of Benin has updated the admission list. Candidates who are yet to check should please visit the uniben kofa page(https://uniben.waeup.org/login) to check for their admission status i.e "submitted" to "Admitted" on top of the kofa page immediately you login. For candidates who are still see "submitted", do not despair the list is still being uploaded. Are they working according to Jamb Score? What jamb score will enable you to get admitted into The school, i won't lie to you am worried and it is not just only me, My Mom, dad, friends and also well wishers. I will love to get into school this session by the grace of God ( AMEN)!!! Sup third batchers any one seen any change in kofa page ? I still havnt seen any change in my kofa page. I got 47 it showing submitted any hope for me. Please, they should talk to us, my kofa page is still showing submitted, pls, how long are we going to wait?? Don't know what to do again. Uniben; Please make this plain to us!